The winterbor kale overwintered marvelously and will continue enjoying POD real estate until it’s time to tuck tomatoes into its home. 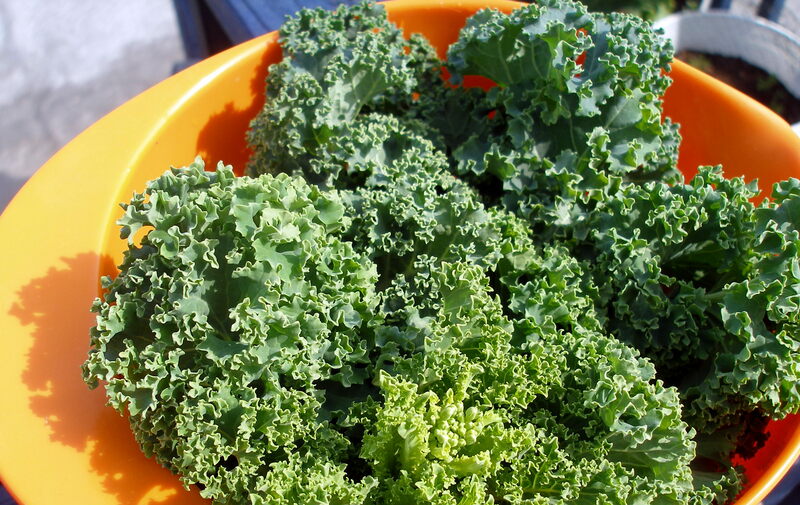 Although the last harvest was in November, kale’s a gratifying addition to a tiny gardening space. Because it can survive temperatures well below freezing and becomes even more flavorful after a frost, it works perfectly as a late fall/early spring crop. (This batch was planted as a set in early October 2009.) It’s just so satisfying to put home-grown greens on the table in dreary November and again in optimistic April — it’s even more delightful when you know the pots would have otherwise been left vacant.